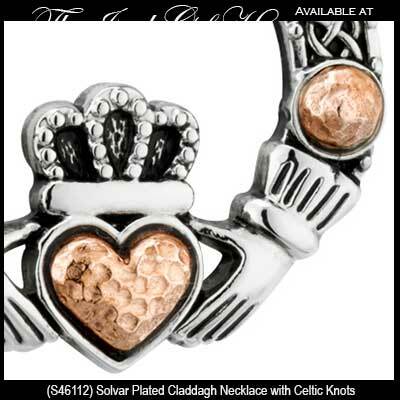 These rhodium plated Claddagh earrings, with an oxidized finish, features engraved Celtic knots along with a rose gold plated heart and dome accents. 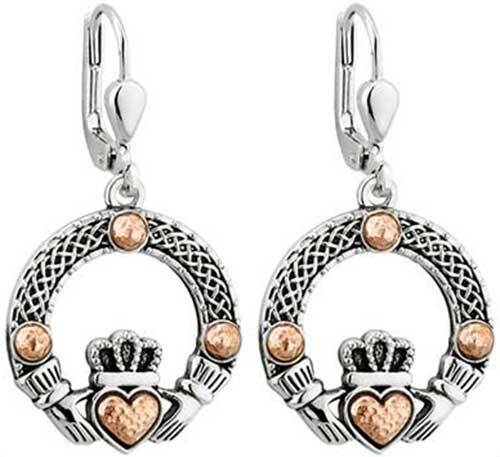 The Celtic Claddagh earrings are a drop design on latching Eurowires that measure 3/4” wide x 1 3/8“ tall, from the bottom of the heart to the top of the wire. 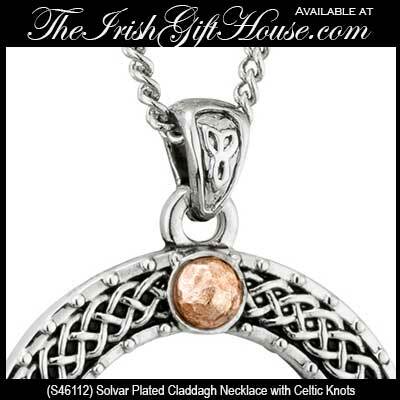 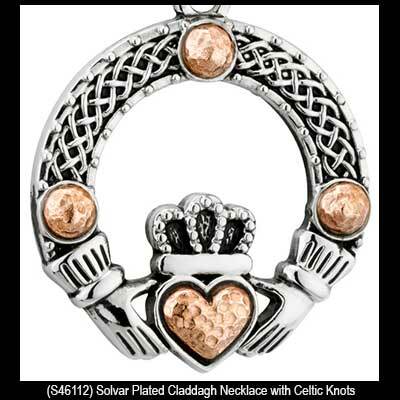 The Irish earrings are made by Solvar Jewelry in Dublin, Ireland and are gift boxed with Claddagh and Celtic knot history cards that are complements of The Irish Gift House.